The wonderful thing about the indie gaming scene is that it allows game developers to embrace their bizarre, deep-seated desires for game ideas, seemingly with no creative limits. 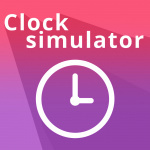 Thus, we have Clock Simulator, a rhythm game that literally has you take the role of Father Time in an array of odd minigames. 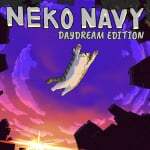 We also have feline based shoot ‘em up action in Neko Navy: Daydream Edition, as well as less furry shmupping in Stellar Interface. The cream of the crop this week though is the fantastic Momodora: Reverie Under the Moonlight – a stunning Metroidvania platformer – and Hive Jump, a brilliant platform shooter and an even better party game. Let’s dig in. Certainly one of the more bizarre titles we’ve looked at lately, Clock Simulator is a peculiar collection of rhythm-based minigames, most using a clock aesthetic. If there is any indie experience that deserves to be dubbed a 'time waster', then this is certainly it. The main mode – also used as a basic tutorial – simply requires the player to keep time perfectly, becoming the second hand on a rather basic-looking wall clock. For every second that isn’t precisely hit, you’ll be penalised by the hand shrinking. It’s about as basic as gaming can get, yet is bizarrely addictive. Playing through one of the game’s eleven single-player games may leave you so tediously bored yet stubbornly invested, and your mind may seep into an existential crisis, endlessly arguing with yourself back and forth as to the nature of the human purpose, before you look down, realise you’ve stopped ticking, and start over again. You may consider the game’s eleven minigames (plus two multiplayer variations) to be good value. However, do consider, dear reader, the deceptively cunning similarities between the minigames, many of which are only slight variations on the source game. 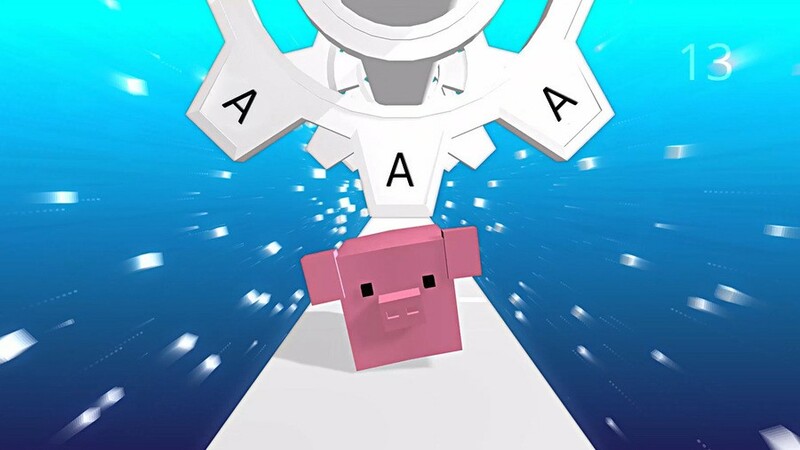 The time gods do, however, bless us with another companion for reaction test gameplay: a rope-jumping pig. This at least adds some element of variety. You can even stop clocks and jump pigs with a friend for twice the existential terror. The visuals of Clock Simulator are incredibly minimalistic, utilising only a handful of block colours, accompanied by a quiet, ambient soundtrack. Clock Simulator is quite conflicting. The hilariously silly concept might make it a novelty and its core gameplay is so frustrating that it becomes addictive, but there are much better reaction testers to spend your time and money on. Yet, the offer of multiple modes and a strangely peaceful and relaxing vibe give it something that might appeal to those who wish to relax by killing, or rather, controlling time. 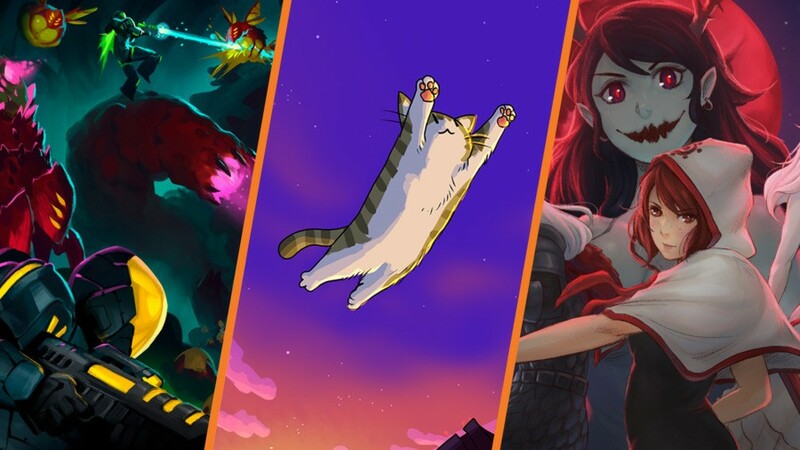 If you love the shmup genre and feline friends, then boy, have we got the game for you. Neko Navy is a fairly run-of-the-mill shoot 'em up, utilising an adorably amusing cat aesthetic as well as a bit of Japenese cultural influence that gives it a fun and unique style. You collect cat tokens to accumulate points and will pick up power-ups along the way. There isn’t a huge amount in terms of the gameplay to define it against other games of the genre. Shields, bigger guns, hordes of enemies and (eventually) large-scale bosses are all implemented well, but are the norm and to be expected. It’s the surreal and amusing visuals of Neko Navy, with its Pusheen-esque art style, that makes it stand out from the crowd. The splayed-out playable cats are as cute as they are hilarious, making for a nice change from the same old space shooters. The enemies, however, aren’t quite as interesting or fun, with the occasional unique design but nothing as charming as your kitty protagonists. The Daydream edition boasts an infinite mode to test your skill, which is a welcome addition. This is particularly tough on the all-new 'death mode'. There is a feeling of a missing middle ground in fact, as the game’s difficulty jumps from easy to hard to death, with no medium skill level. Neko Navy is a perfectly serviceable shmup that, not unlike an underfed cat, is a tad barebones. It plays smoothly, emulating an arcade feel, but could do with some additional features and a bit more enemy variety to make it truly stand out. That said, it offers a bright, colourful atmosphere with an unapologetically arcade-style soundtrack and could function as a nice introduction to shmups for players of any age. The fourth in the series of 2D platformers, Momodora: Reverie Under the Moonlight is an absolute gem and comes highly recommended. Its stylised backdrops, super-smooth action and wonderfully rendered SNES era graphics make it a stand out in the Metroidvania sub-genre. Between Momodora and Feudal Alloy, we feel more than a tad spoilt. The plot serves as a prequel to the three previous titles, though a knowledge of their events isn’t at all required to appreciate and enjoy it. Information on the world is scarce but revealed via textbox cutscenes at various points. All you need to know is that there’s a curse sweeping the land, which only the priestess Kaho, your playable avatar, can stop. Kaho isn’t your typical adventurer though, in terms of her melee weapon choice. She doesn’t opt for a sword like Link, an axe like Fire Emblem’s Hector, or even a whip like Simon Belmont. Using a razor-sharp red leaf, she can perform a vast range of combo attacks, combining melee brawls with a powerful magic palette and a ranged option of a longbow. All of this works seamlessly in conjunction with the tight controls and movement options available, including projectile deflection and a roll-to-dodge move. There are also many items for your collection, again with a great variety to continuously upgrade your arsenal, or to give you a health or magic boost in a tight spot. And there will be tight spots aplenty, particularly on hard mode, as every enemy from the grunts to the impressively versatile and sometimes huge bosses boast clever AI that will take you down if you’re unprepared. The icing on the cake for this game is its delightfully detailed visual style. Backgrounds are beautifully rendered and expansive, giving the world an organically gorgeous, 'lived-in' atmosphere. NPCs are well rendered and varied, and the aforementioned boss battles are a true spectacle and a highlight. The only minor criticism comes from the soundtrack which, while not bad, isn’t memorable and doesn’t always match the fantastic art. Overall, however, Momodora: Reverie Under the Moonlight is a stunningly well-presented platformer with some of the most intuitive controls in the genre. A superb game and a credit to the indie scene. 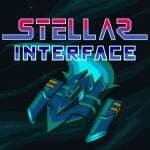 At first glance, one might groan at the notion of yet another space shmup on the indie marketplace, but Stellar Interface manages to set itself apart by offering a variable experience using roguelike elements to stand alone. The game encourages adaptability, perseverance and repetition to create an engagingly addictive experience. This kind of gameplay likely won’t be everyone’s cup of tea due to the permadeath feature; there’s nothing worse than embarking on a successful run with the best gear, only to be thrust back to square one. Each run begins with the selection of your ship and left and right guns, with the options of a few variables, sub-categorised by type, such as machine guns, blasters, lasers and so on. Once selected, you’ll be thrust into randomly-generated stages to survive, though you crucially don’t have to clear the enemies to progress. You’re then able to allocate further upgrades to your ship, usually taking the form of a passive bonus, gun upgrade or ally to assist you. While the former two have obvious effects, the naming and descriptions of allies – via memes and jokes – is more annoying than it is amusing, as their benefit is not made clear. Still, these upgrades are great when stacked and give the potential for your tiny ship to turn into an absolute monster. It’ll need to be to take on the many bosses too which, while tough, don’t feel unfair on normal difficulty. The addictive quality, failing and telling yourself just ‘one more run’, is really what generates most of this game's appeal. Graphically, Stellar Interface is fine, but it’s the least impressive aspect of the experience. It’s your standard 16-bit style shoot em up, but with the slightly generic enemy design; they have a tendency to blend into the background, which can be frustrating. The soundtrack, however, is great, with a blood-pumping dubstep influence that perfectly blends well with the action. 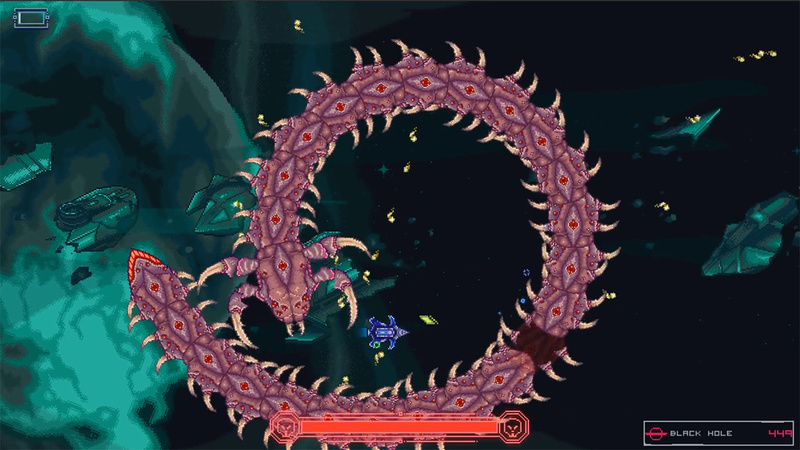 Overall, Stellar Interface is the love child of the shmup and roguelike RPG genres and stands above the crowd as an addictively simple shooter that has consistent replay value. 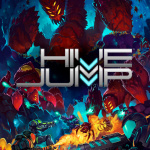 Hive Jump is a 2D shooting platformer that brilliantly captures an arcade style, while still remaining exciting and varied for a modern audience. The story really isn’t the focus here, so we’ll keep it quick; you play as amusingly-named marines called Hive Jumpers, tasked with eliminating an alien threat by destroying the source: the aforementioned hives. There is some attempt at giving personality to the various commanders who spout exposition at you, but this really isn’t the game’s focus. The focus instead lies in the brilliant arcade-style action. 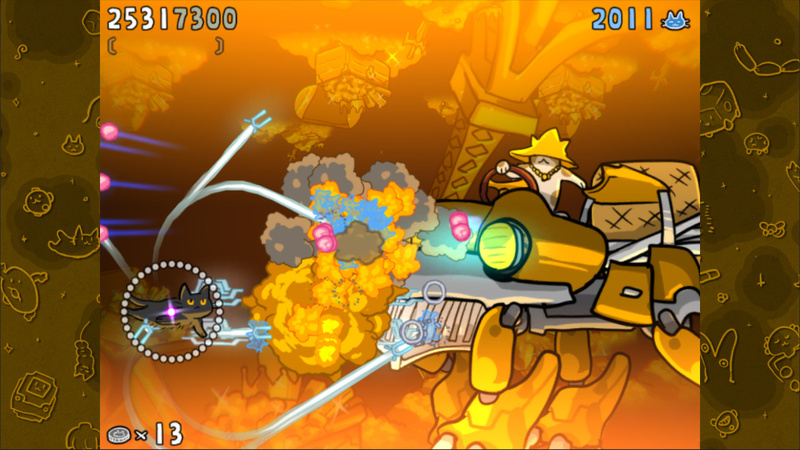 You’ll tear through hordes of well-designed alien creatures using only a basic starting gun and jetpack at first, but on collection of gooey currency, you’ll be able to choose what you want at the end of the level. It’s brilliant that Hive Jump doesn’t tease you with ‘higher level’ weapons behind an elusive red rope as some games might. You’re instead able to choose your style and buy any weapon off the cuff for around the same prices, which allows players to find their style and create parties that employ various roles. Multiplayer really is the way this game was meant to be played, as exploring with multiple jumpers is much more rewarding and avoids things getting stale. The only slightly dull element of Hive Jump’s gameplay comes from a board game-style mini screen before each level. It essentially feels like a game of Risk. If you ask us, skip these and dive straight into the madness. 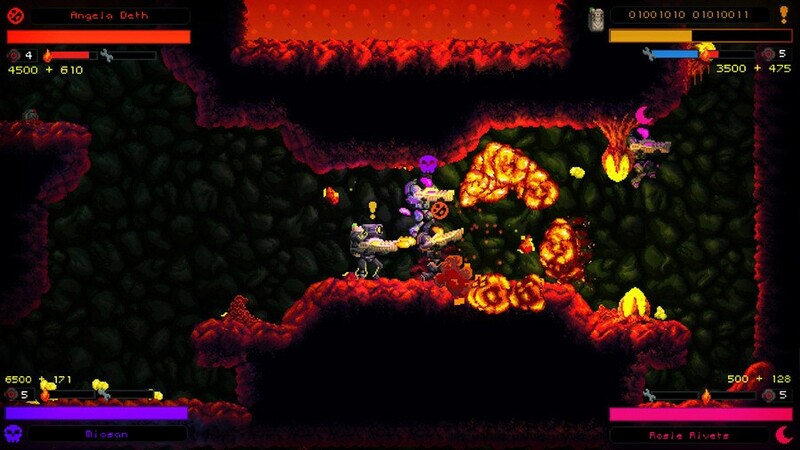 The aesthetics of Hive Jump are also impressive, taking the 16-bit style and pushing it to its limit, with detailed backgrounds, bright colours and satisfyingly bombastic enemy death animations that give a real sense of weight to each shot. Overall, Hive Jump is a really great time, with well thought out level and enemy design, smooth gameplay and a brilliant upgrade system. It’s certainly better placed as a party game with several mates playing local on the sofa, but it’s good fun regardless. Will you be picking up any of these titles this week? If you care to kill time with Clock Simulator or settle into the brilliant Metroidvania action of Momodora, let us know in the comments below. Nothing that particularly interests me in this lot. Played through Momodora, twice, about two weeks ago. But...what the hell. What game can I look forward to the next three months? Yoshi the closest thing they got? Momodora is a pretty fun game. Never heard the announcement for it coming to Switch. @Skalgrim Depends what type of games you're into I guess. I've got a huge backlog already with around ten or so physical preorders over the next few months so I'm gonna have my hands well and truly full. Plus there's the indie presentation soon and probably a Nintendo Direct at some point so we might get news of more titles to fill the gap. Heads up, DotEmu released the hands down best version of Buster Brothers (Pang) ever this month. Just FYI guys, Momodora is a fantastic game. Highly recommend it. @BenAV Exactly. I may be a niche case, but I have about a dozen games on the backburner that I really want to get through, so I don't mind not shelling out another 200 bucks in the next several months. I am confused. Wasnt a Nindies Direct about to happen? Is this the info? @LordGeovanni NintendoLife probably forgot about it. @Yasume But I am not seeing anything on YouTube either. Not most of the channels that stream it with "live reactions", nor even the official Nintendo channel has anything. 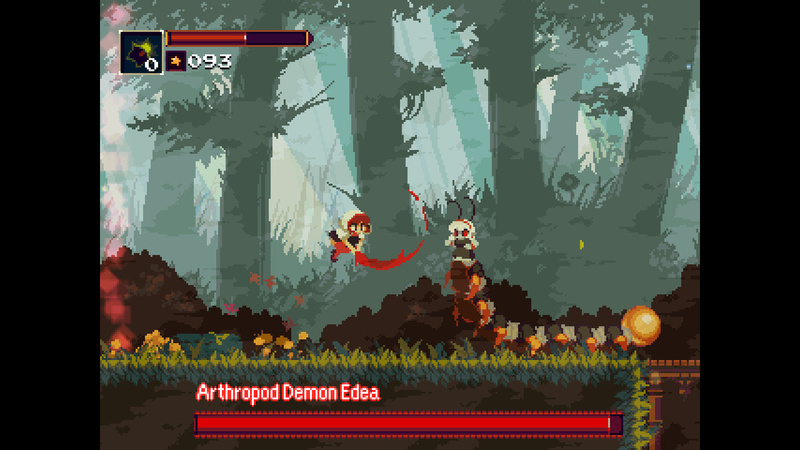 Momodora might be my favorite Metroidvania. The art is great and are the bosses. Momodora was cool. Great graphics and gameplay, eerie mood, great challenge. Just a bit short, but I paid $5 for it on a sale on PSN so the length didn't bother me. I also bought Hive Jump on a whim because it was cheap and I'm starting to soften my stance on procedural generation and roguelikes. As long as they're cheap enough, they're fine games to play when you're looking for something to kill time with. Turns out Hive Jump is kind of fun. @Slapsillium tbh it doesn't help that die to the weird eff-up of finances and fiscal year layout, january to March is still fiscal year "2018". We could even argue the holidays were technically Q3 instead of Q4 on that basis. I can wholeheartedly recommend Neko Navy to anyone who likes bullet hell shooters. Amazing game. Neko Navy is good fun, i recommend it too. I'll grab Momodora when it's on sale someday. Don't care about the others. 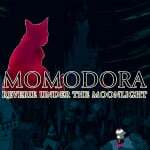 I saw Momodora: Reverie Under the Moonlight on AGDQ 2019 briefly, it looked good. Another game for the physical release wishlist. @LordGeovanni I imagine you found the Indie Showcase video by now? It was short and sweet. I have indeed found it. Thank you for your help however. Forager looks interesting to me but steamworld Quest spent too much time on their animation and not enough time on actual gameplay for me to decide anything yet. Neko Navy is fantastic shmup, one of the best on Switch and I have most of them (over 50). Highly recommended. For the critique presented in the review I can't relate to at all. It's actually not any more bare bones than most shmups for Switch out there. You have 6 different cats (of which 3 unlockable) to play with, 7 levels, 3 difficulties + infinite mode, training model (stage selection). The enemies are varied, hilarious often, bosses fun and imaginative, great bomb system, secret bosses / other secrets , VERY good music, not overly difficult on hard (=normal) / easy, etc. It's actually the most CAVE - like shmup I can think of outside Danmaku Unlimited (Neko Navy reminds me of Dangun Feveron the most). Oh and it's scoring system is not as basic at it sounds at all. There is proximity bonuses it seems and there is tons of room to improve your score depending how well you are able to maximize with your bombs. The biggest negatives I can think of are lack of online leaderboards and for some, the speed of the cats is too much (much faster than in most shmups, which takes time to adjust to). Hive Jump, its not mp online? Picked up Momodora on release day and it's awesome. Games like this, The Messenger, Hollow Knight, StardewValley and a few others are exactly the reason I own a Switch. Hive Jump is the one I got a good feeling from, and I'm glad it didn't disappoint. My gamer pal was impressed as well, so I will go on ahead and get this one off my backlist. I noticed the nod to Feudal Alloy in the Momodora review. Any word on how that game is? I've had my eye on it since it was announced, but haven't seen a review for it yet. What gives, NL? There were other games in that video beside Wargroove? Sorry, nothing else even comes close. WARGROOVE! @Tortoise94 ahh crap, must've missed that week! Thanks for the heads up!